A Country French jewelry, collector or silver chest is about 25 years old. The finish is in excellent condition with warm color. 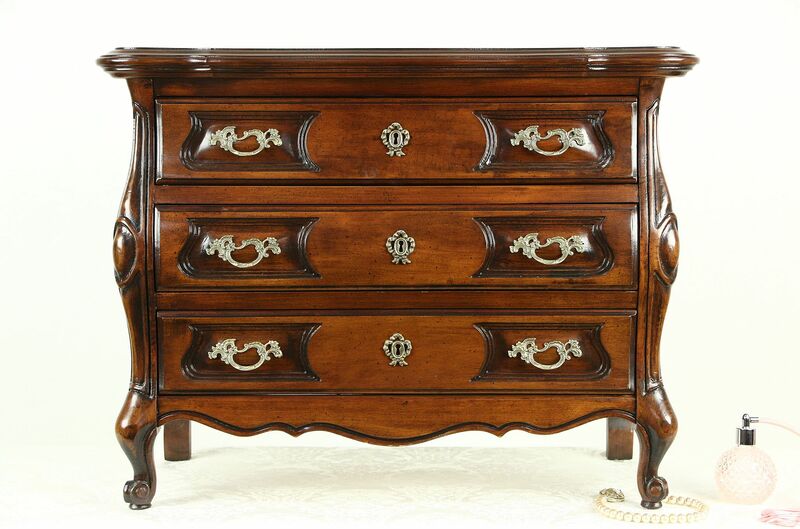 Unsigned American made furniture, drawers have solid oak dovetailed sides and original embossed brass pulls. Measurements of this charming vintage chest are 26" wide, 13" deep and 20" tall.